This is a full upgrade kit to bring any Genie Scissor lift, up to the Generation 5 electronics. It includes Control Box, Manual, Box Hanger, Wiring Harness and Computer. 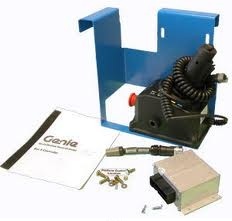 This is exactly what we needed to get our Genie GS1930 operational and at a fraction of what the factory charges too.